Did I tell the dentist that Steps are currently redefining what a pop comeback should be? Did I tell her their comeback track, ‘Scared Of The Dark’, is the best song of the year so far? Did I tell her Steps were, and are fast becoming again, the best pop group in the world? No, because, you know, obvious reasons. Fast forward to today and look who’s having the last laugh, dentist person who’s earning more than I ever will, that is right, it is me, because the new Steps album is here and, guess what, it is excellent. The major pitfall of so many pop comebacks is the desire to be current, to release music that sounds like the stuff currently littering the top 40 and ditching the original sound that was the source of the success in the first place. Steps are clever and Steps do not do this. Their sound is updated, sure, but this is still Steps through and through, from the massive sadbanger choruses led by megamouth Claire to the almost total cold-shouldering of any input from the boys at all. The Steps formula is tweaked most radically on ‘You Make Me Whole‘, a dance track that features flavours of tropical house and EDM to surprisingly good effect, the song revolving around an immediately catchy chorus – the cornerstone of any good Steps song. On an album of dance tracks, the closest we get to a ballad is the cover of Benny Andersson’s ‘Story Of A Heart’. Having been compared to ABBA for much of their career – often referred to as “ABBA on speed” by Pete Waterman – it feels like a sensible pairing, and one that pays off, Steps proving that comparisons to the Swedish foursome are more than just record label hyperbole. ‘Happy’ is an album highlight, the darkest track on ‘Tears On The Dancefloor’, a song that brims with a restless, pulsing energy reminiscent of ‘Deeper Shade Of Blue’. It also contains the album’s best lyric: “The time for men has come and gone.” Sorry H and Lee. ‘Happy’ reflects a uniting theme of this album. Despite what the track’s title would suggest, this is a very, very sad song, a track about a loveless, unfulfilling relationship that has long since died. 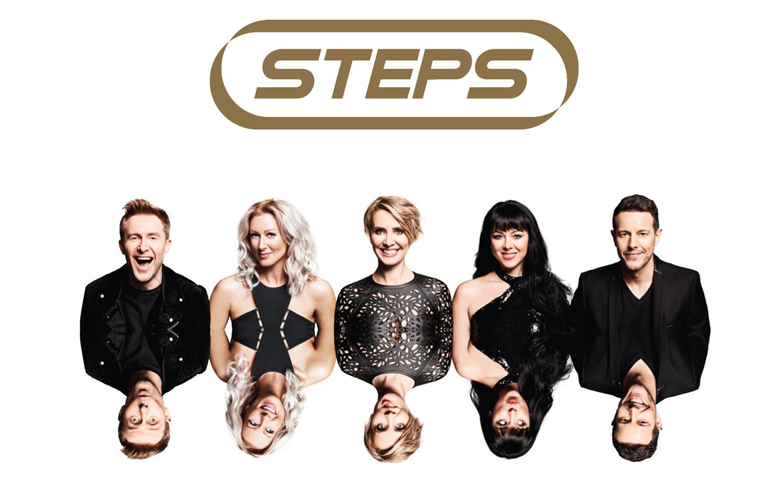 And this album is characterised by very sad songs coupled with upbeat dance melodies – another Steps speciality. While a couple of tracks do fall a little flat (‘Space Between Us’ and ‘Neon Blue’ don’t bring much to the table), ‘Tears On The Dancefloor’ is nonetheless a triumph of a pop album. True to the original winning Steps formula while also blending in trends that have characterised the intervening twenty years since Steps’ debut album, ‘Tears On The Dancefloor’ is a masterclass in how to carry out a modern pop comeback.